Catholic youths have urged to preserve their identity as members of God’s family by living a good Christian life guided by the teachings and morals of the Catholic faith. 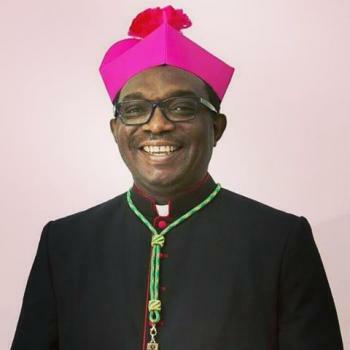 The appeal was made by the Catholic Bishop of Osogbo Diocese and Episcopal Chairman of the Catholic Bishops’ Conference Youth Committee, Most Rev. John Oyejola while preaching the homily at the closing Mass of the fifth National Youth Day celebration , held recently in Calabar, Cross Rivers State. The chief celebrant at the Mass was Archbishop Joseph Ekuwem, the Archbishop of Calabar. Also speaking at the closing ceremony, the National Youth Animator and CBCN Youth Committee Secretary, Rev. Fr. Mark Obayi expressed gratitude to the host Bishop, Most Rev. Joseph Ekuwem, the CBCN Youth Committee Chairman, members of the local organizing committee (LOC) and others who have collaborated at making the celebration the success that it was, He expressed the hope that the delegates would return to their various Archdioceses and dioceses with good memories of the celebration to share with their peers who were not privileged to attend.